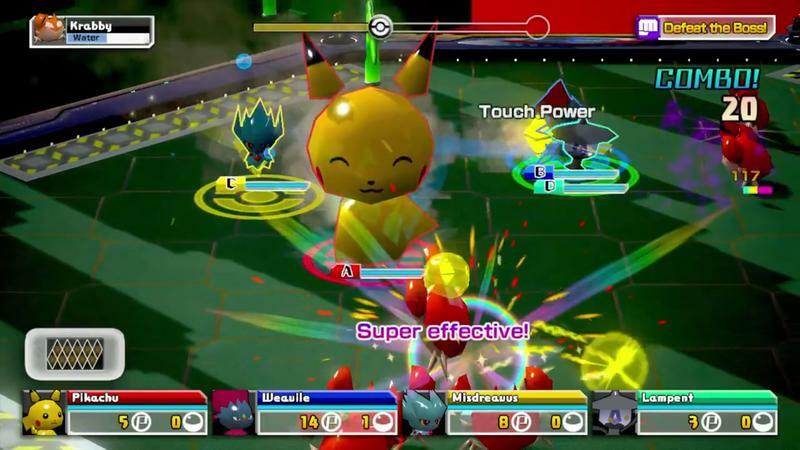 Pokémon Rumble U review: Wanna Fight About it? 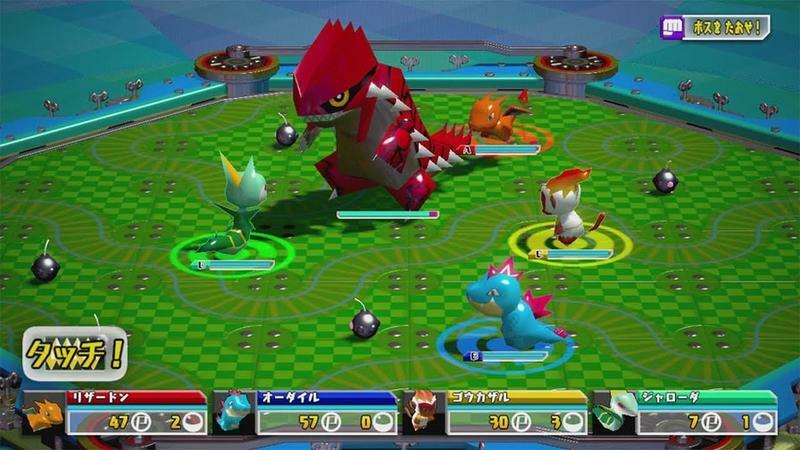 Pokémon spin-off games have never escaped from the shadows of their overlord RPG masters. More often than not, they are generally discarded as cheap imitations trying to replicate the thrill of "catching them all," and have yet to fully grasp the series' core enthusiasts in the same way the beloved handheld main entries have. Looking retrospectively through, Pokémon spin-off titles haven't been all that bad. If taken for what they were meant to be, they are simply light entertainment designed to keep fickle minds fixated on the next big game rather than other series out there. I had a small stint with Pokémon Pinball on the Game Boy Color back in the day that I remember very well. Just this year I was shocked by how much I enjoyed Pokémon Mystery Dungeon: Gates to Infinity and its charming taking on the roguelike RPG sub-genre. I'm not ashamed to admit it, but I also had a little fun with Pokémon Snap back on the Nintendo 64. It was a friend's copy to be sure, or else I might not have fond memories after dropping $70 on it. Not all Pokémon spin-offs are Hey You! 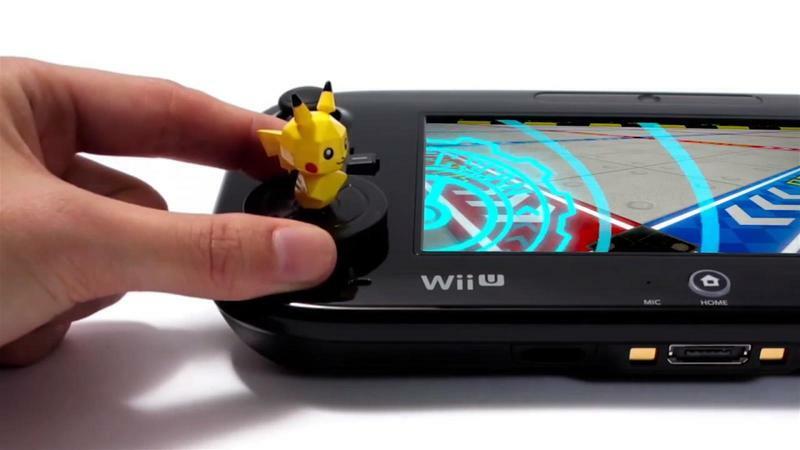 Pikachu!, and neither is Pokémon Rumble U, the latest in a mindless sub-series of one button combat beat 'em ups. If seen past the fact that this is a simple time killer, it could result in a few fun gaming nights with some Pokémon trainer friends… just not much more than that. Gotta Catch 'em All For Real! Nobody would be too far off by listing Pokémon Rumble U as Nintendo's answer to Activision's Skylanders series or the recently released Disney Infinity. Toys are the theme of this game all the way down to its storyline. 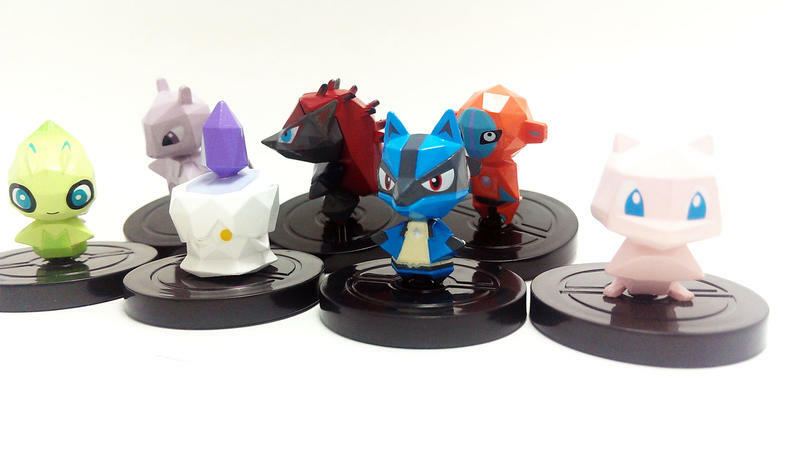 Figurines are currently available in retailers, and the data from chips in their bases can be uploaded into Pokémon Rumble U via the Wii U Pad scanner. These figurines unlock secrets: exclusive Pokémon with boosted stats for those hard to beat battles. Half the fun is collecting the Pokémon in real life, and $3.99 a pop will land a mystery Pokémon to play within the game. Sealed Pokeballs won't allow anxious gamers to see which Pokemon they are buying beforehand, so expect to find quite a few doubles when touring the local Gamestops. But hey, hasn't trading always been a core part of the Pokemon experience too? Of course, if digging through retailers looking for pieces of plastic is not in style, passwords to unlock secret Pokémon are readily available on the internet. A quick Google search is how I landed my Bulbasaur, my ultimate trophy in any Pokémon game. Taking part in figurine collecting is just half the fun, but not entirely necessary to enjoy Pokémon Rumble U for what the core game is worth. The game alone provides many rewards for the simple act of battling, including all 693 different species of Pokémon. No matter when a young newcomer or a stone hardened veteran jumped aboard the series, favorites are bound to turn up eventually. Old timers like me might only up be to speed on the original 151, so the true value of Pokémon Rumble U is seeing a familiar face from the black and white days of the series erupt from a Pokéball amongst all the other throw-away monsters I don't know. Nobody wants to play these games as Pokémon they hate, but without the useless monsters I never cared about, I doubt I could appreciate my favorites as much. Wading through hordes of toys, seeing how each prized Pokémon plays and how their move set works. It's an extra incentive to keep playing, making sure all of favorites have been captured and controlled at least once. When offered the choice of taking a Magikarp into battle as opposed to a later generation water type I didn't recognize, I took Magikarp all the way. Lots of Pain. No Gain. That simple choice is not always an option, though. Pokémon Rumble U's difficulty curve evolves alongside the caught Pokémon, and only the strongest will help survive the next battle. There is no training in this game. Unlocking the latest species is the only way to progress, more often than not forcing the use of an unfamiliar Pokémon. 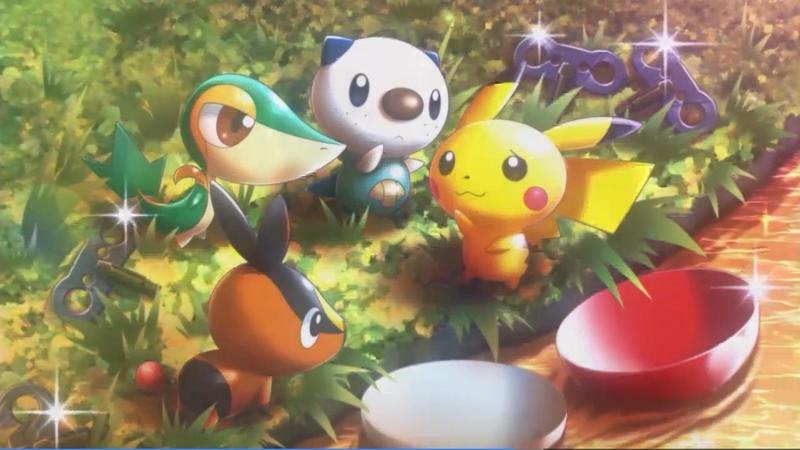 No doubt this is a way of Nintendo introducing every Pokémon to first time gamers, to discourage picking favorites and spreading the love to all. Combat is simple enough. Each Pokémon comes equipped with one or two moves, which can be spammed at will with no penalty. From there, mash away at enemy Pokémon as they come, destroying wave after wave of the little beasts before taking down a big boss. Simple enough. While described as mindless, strategy comes in minimal amounts. Fans of Pokémon know there are "types," and some types are weak to the elements of others. Fire is weak to water, for example. Taking a Pikachu and his electrically charged buddies into a scuffle with ground type Pokémon is a recipe for disaster. Choosing a team designed for each particular stage is a crucial factor in this game. Beyond that, a few obstacles like cannons and rolling spiked balls might shake up the formula a bit, but the vast majority of difficulty comes from beating special challenges specifically made for each fight. None are particularly challenging, like taking a weak element or under powered Pokémon into a fight, but others such as beating a mission "late in the morning or late in the afternoon" can be frustrating. The thrill of the hunt is also on. Each level has their own designated Pokémon, some of which can be very hard to capture. Capturing all 639 Pokémon will require some serious time hitting the books, and recognizing patterns, figuring out how to perfectly time the throw of a rare master ball. 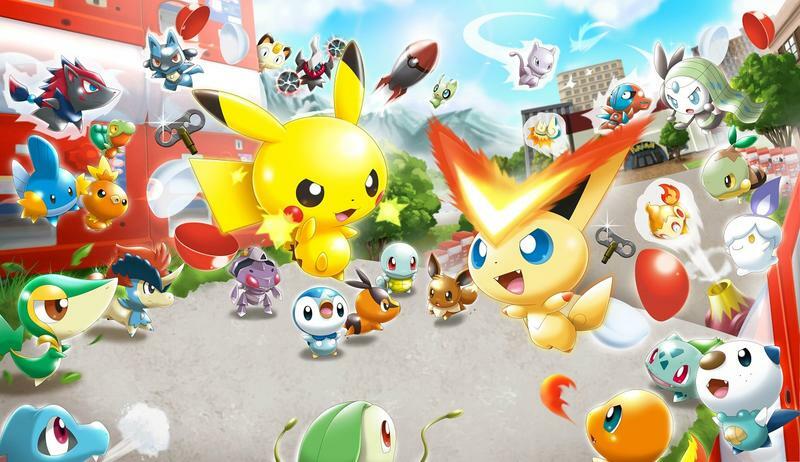 Pokémon Rumble U rewards fans abundantly for their hard work, too. The game throws out coins like they are going out of style, and anywhere from ten to thirty Pokémon can be unlocked after a successful fight. Much like shopping for the real figurines, expect to find quite a few doubles along the way. Perhaps maybe too many, even. The Pokémon select screen before every battle will be cluttered with the little beasts, pulling out to major extremes to show off every stinking single one who has fallen captive. What I am getting to is my biggest complaint about the game: the Pokémon select screen. It is confusing, impossible to see the Pokémon you want to use. Yes, the most powerful ones are in the front, and will most likely be the one's used, but some missions require digging through the expansive catalog for certain power levels and elements. How are they to be found when they are the size of ants? The posted image doesn't even come close to how far the camera can pull back on this menu. No zoom options and no readily available method of discarding all the trash Pokémon who never get used once make it one of the most poorly designed menu screens in the history of video gaming. But, What's Wrong With the Game? If my biggest complaint about a game is the character select screen, then it must not be too horrible of a game though, is it? No, it's not at all. 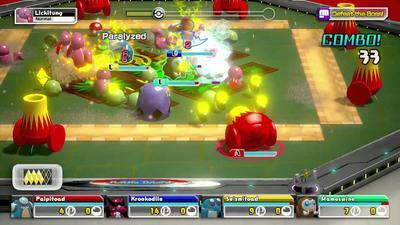 Pokémon Rumble U offers perfectly solid game mechanics and inoffensive cheap thrills. If you know what you are getting yourself into, it could be worth the price of admission. If lightweight games are not your thing, then give it a pass. This is not for you. Don't be fooled into thinking games like these are part of Nintendo's grand scheme to revive the Wii U platform. This is designed to get you excited to play Pokémon X and Y this holiday season, and maybe even a decent local multiplayer option for a night of fun gaming with friends until Super Smash Bros. finally gets released. In the meantime, play this with your kids, your Pokémon fan friends, or just by yourself if casual fun with a cast of charming monsters is just your thing. Nintendo provided us with a review copy of Pokémon Rumble U, and we clocked in ten hours of gameplay before writing this review.